Formed in 2014, Beijing, capital of China, thrash metal band TUMOURBOY is still young, even they've already released their debut Damaged System. ADP signed this passionate, aggressive young band and plan to release their second album around December 2017. 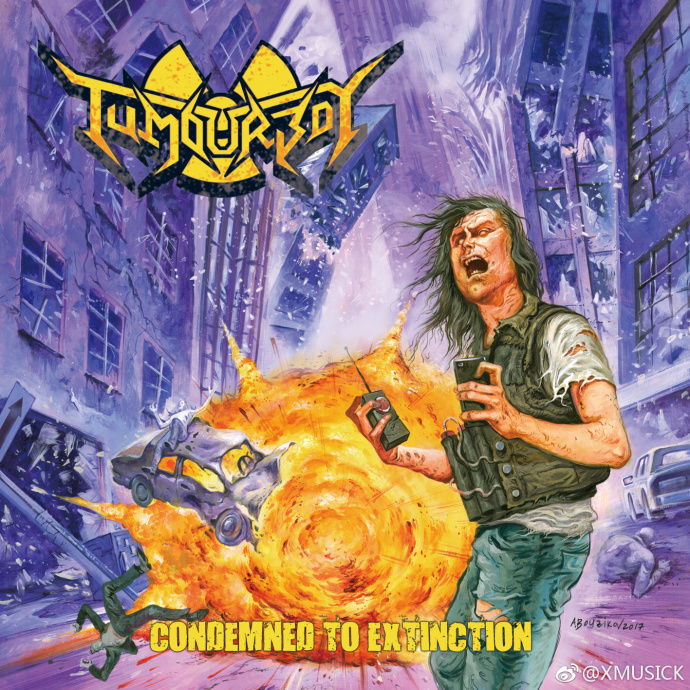 This is the second chinese thrash metal band we signed after EXPLOSICUM. The title of new album is Condemned To Extinction, album cover is created by famous artist Andrei Bouzikov (MUNICIPAL WASTE, TOXIC HOLOCAUST). 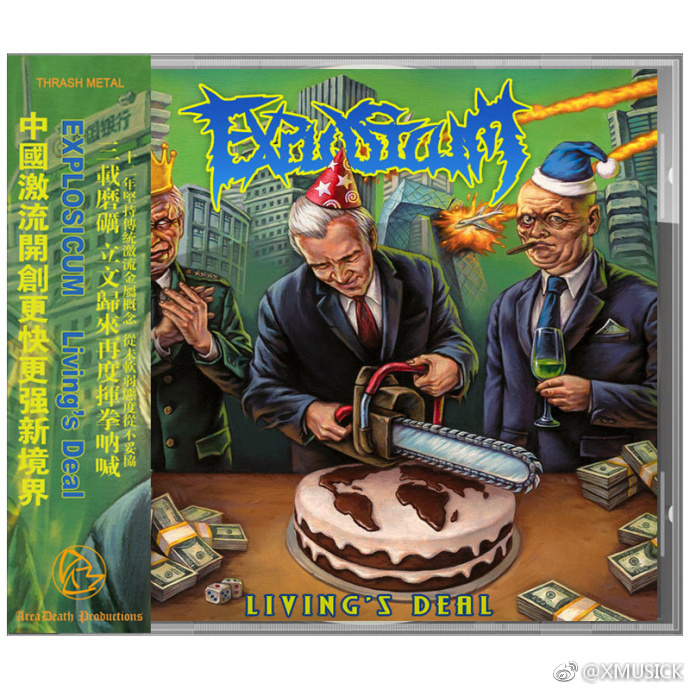 Finally, after three years waiting, one of the most important China thrash metal band released their new album Living's Deal. New album continues the concept of leading role “Living”, music style is still fast and blast thrash metal. There is new breakthrough in technique, recording and production. New album has NO compromise, NO soften! It shows the speed and strength EXPLOSICUM has never before! It includes 9 tracks. Cover art is still by our old friend Uncle 3, famous cover artist in Chinese metal scene. Swedish Speed Heavy Metal GERM BOMB featuring former members of HATHOR will release their third album Under A Fading Sun via AreaDeath Productions, again. The artwork unveiled. As you know, we've already released their debut and second album, GERM BOMB, the name came up while listening to a DEAD KENNEDY song, is influenced by MOTÖRHEAD,ENTOMBED, GBH. 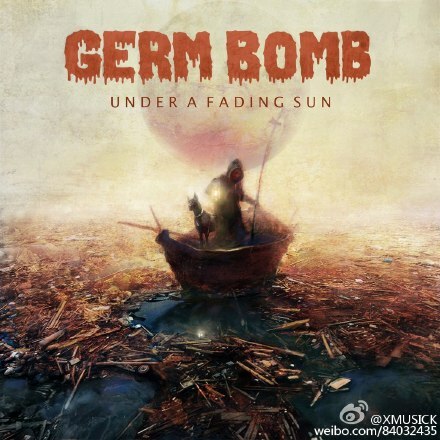 Filthy, speed, heavy metal combined with punk attitude, this is GERM BOMB! An interview with Tony Anderson, front man and co-founder of the band GENERICHRIST.Reading this interview, you will find how A metal band could be close to you, their music taste, influence, top 10 list, favorite movies, even their band life tempo.